Anyone remember mixtapes? In the 1990s, lonely boys often recorded a mix of their favorite songs onto one cassette tape, then gave this tape to the object of his affection. The purpose of this bizarre, beta male dating ritual was to provide one’s intended with a small but promising glimpse into the depth of one’s feelings for the other person. More often than not, these so-called mixtapes became nothing more than the soundtrack to a heartbreak and a bitter reminder of one’s broken dreams. Thank goodness these misguided and maudlin odes to unrequited love have fallen by the wayside. With the advent of digital technology, yesterday’s “mixtape” has evolved into something more useful. It’s called a “playlist,” and it seems to focused upon the musical stylings of original listener rather than a gift for someone else. So what does this have to do with the technological advancements offered by Solid Signal? Plenty, actually. Do you have your favorite playlist on your phone or other wireless device? I’ll bet your Smartphone is synched up with Pandora at this very moment. You probably have at least one or two different playlists of your favorite artists, styles, and songs. And I’ll be you think listening to your playlist on your phone is great… when that’s your only option. But don’t you wish you could jam that same playlist on your home stereo system? Solid Signal makes this possible! With a Bluetooth® Music Receiver from Solid Signal, you can stream your music from your phone, tablet, or computer directly through your stereo! Imagine that! All the benefits of music on your phone – a commercial-free playlist of your favorite songs in the order you want them – with all the best aspects of your at-home stereo system. When it comes to enjoying your favorite music, this is the way to go. If you’re wondering about the hook up for such a thing to happen, don’t worry. The Bluetooth Music Receiver easily connects to your stereo’s aux input. 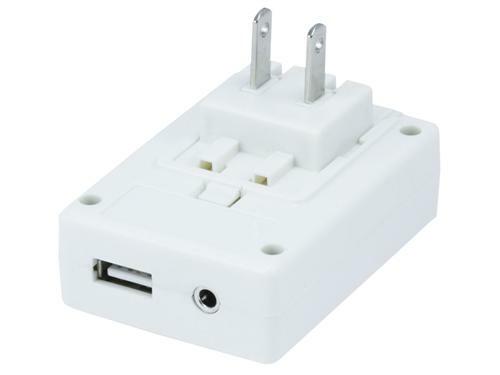 It then plugs into a power outlet or USB connection. We even include the cable you need to make that connection! I’m actually interested in getting my own Bluetooth® Music Receiver. As an old punk rocker from way back, I love my playlists and I love to play them loud. (What’s the point of listening to the Sturm und Drang of Slaughter and the Dogs on low volume?) With this ingenious little device hooked up to my stereo, streaming my favorite tunes on blast is just a click away! Take it from me, it sure beats making some mixtape for someone who wouldn’t spit on you if you were on fire!